Below is information about travel to and from Davis, as well as lodging options for the conference, plus some ideas for dining and cultural and natural activities in the area. Located in Yolo County, in the Central Valley of northern California, Davis a vibrant college town of about 68,000 residents. Sacramento, the state capital, is 20 minutes away, and natural and cultural destinations such as the San Francisco Bay Area, Lake Tahoe and the Napa Valley are within a two-hour drive. Davis sits in the Pacific Flyway, a major migration route for waterfowl and other North American birds. Several wildlife preserves, offering a natural environment, dot the landscape. The Central Valley climate can be described as Mediterranean. The mild temperate climate means enjoyment of outdoors all year long. During the hot, dry, sunny summers, temperatures on some days can exceed 100 degrees F; however, more often summer temperatures are in the low 90s. 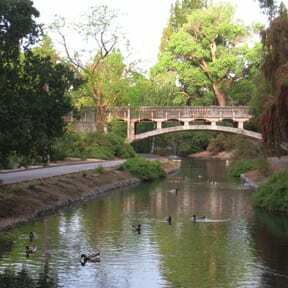 Davis has a small town atmosphere, with an emphasis on parks and open spaces. The Davis Farmers Market is held year-round on Wednesdays and Saturdays in Central Park. Known as an environmentally aware and socially innovative city, Davis boasts more than 50 miles of bicycle paths and more bicycles per capita than any other city in the nation. 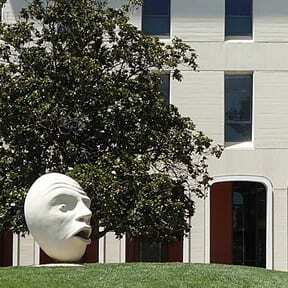 Residents of Davis are active in local, national, and international political causes, sports, arts, and community organizations. The City of Davis was originally declared a City of Sanctuary in 1986. The City Council reaffirmed the City of Sanctuary status in 2007 and again in 2014. The 5,300-acre UC Davis campus is adjacent to the downtown area. Since its founding in 1908, UC Davis has been known for its academics and commitment to sustainability. They remain dedicated to solving issues related to food, health, the environment and society. Reflecting California’s changing demographics, UC Davis is expecting to earn a U.S. Department of Education Hispanic Serving Institution designation by 2018-2019, when 25 percent of undergraduates will be of Hispanic origin. Residence hall housing is available at the University of California Davis campus, and booking can be made through the conference registration form. The second page of the registration form has a field where you may request specific people you wish to be housed near. Rooms in buildings in both the Segundo and Tercero areas on campus will house participants. 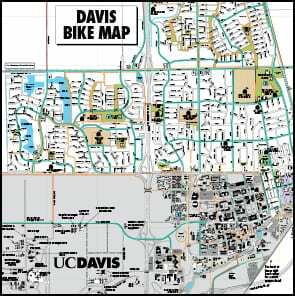 You can view information on these two housing area at the UC Davis Accommodations Page. Packages and rates include breakfast each morning. Note that none of the dorms on campus have private bathrooms. Campus housing space is reserved for conference registrants only and cannot be utilized for guests, particularly anyone under the age of 18. NOTE: Only 4 packages are allowed by campus housing to ASLE attendees, and each package has to specify type of room (single), number of nights and exact dates. The dates listed below are unfortunately not flexible or negotiable. Rooms must be booked by May 15. No refunds after May 15, 2019. Book early to guarantee availability as space is limited. UC Davis does not book dorm rooms on a nightly basis. Packages cannot be customized in any way. For those seeking hotel/motel lodging, these are the options in the Davis vicinity. 173 Old Davis Rd, hotel is on campus and is closest lodging to the UC Davis Conference Center. The Hyatt Place has 50 rooms for $169/night + taxes. Hotel is SOLD OUT on June 27. A small inventory available on other dates. Use this booking link to reserve. Note that only dates in the block (June 25 – June 30) can be reserved at this rate. Reservations need to be made by May 4, 2019, in order to receive the group rate. There are 10 rooms available, rates range from $144 – $169/night + taxes. Call the hotel directly (530.756.0352) and ask for the, “ASLE CONFERENCE” room block or use the online booking link. 234 D Street, downtown, approximately 20 min. walk from conference venues. There are 10 rooms available, rates range from $151 – $156/night + taxes. Call the hotel directly (530.753.7100) and ask for the, “ASLE CONFERENCE” room block or use the online booking link. There are 15 rooms available, rates are $119/night + taxes. Call the hotel directly (530.756.0910) and ask for the, “ASLE CONFERENCE” room block. There is no booking link available. Guests need to book by May 9, 2019 to receive the group rate for the above three hotels. There are 30 rooms available, rates are $140/night + taxes. Call the hotel directly (530/756-7890 or 800/528-1234) and ask for “ASLE Conference” group rate. There is no booking link available. 221 D Street, downtown, approximately 20 min. walk from conference venues. NEW BLOCK: There are 10 rooms available, rates are $140/night + taxes. No booking link, call hotel directly at (530) 756-1040 or email at info@thevineinndavis.com, and ask for ASLE Conference Group Block. Guests need to book by May 25, 2019 to receive the group rate for these hotels. 10 rooms available at a rate of $99/night plus tax. No booking link, call hotel directly at (530) 792-0800 and ask for ASLE Conference Group Block. 110 F Street, downtown, approximately 20 min. walk from conference venues. UC Davis preferred rates for 2019 are $159/K and $169/QQ. The rate does not include breakfast. This automatically loads the rate on their website, choose arrival and departure dates. There is no specific conference block set aside for this hotel, and availability is very limited at this rate, so book early to increase chances of available rooms. 1640 Research Park Dr, not downtown, approximately 30 min walk to conference venues. 1771 Research Park Dr, not downtown, approximately 30 min walk to conference venues. Sacramento International Airport (SMF) is the closest airport to UC Davis, located about 30 minutes away from our campus. San Francisco International Airport (SFO) is approximately 90 minutes from campus. For transportation to campus, we recommend contacting a local cab company or the DavisAirporter shuttle service at 1-800-565-5153. Cost to and from Sacramento Airport is approximately $23 each way. Cost to and from San Francisco is approximately $85 each way. If you choose to rent a car, use the directions to campus at their visitor directions page. The following links can help you to find out more about the area’s eating and entertainment options. There are also often food trucks parked in various locations on campus. The Davis Greenbelt is made up of ten distinct and connected greenbelts near Davis, California ideal for walking, jogging, or cycling. There are sixty miles in the greenbelt, about 10 square miles within the town.